Senator Jeff Smith and Representative Jodi Emerson want to hear from you. Join them at the Eau Claire Budget Listening Session. 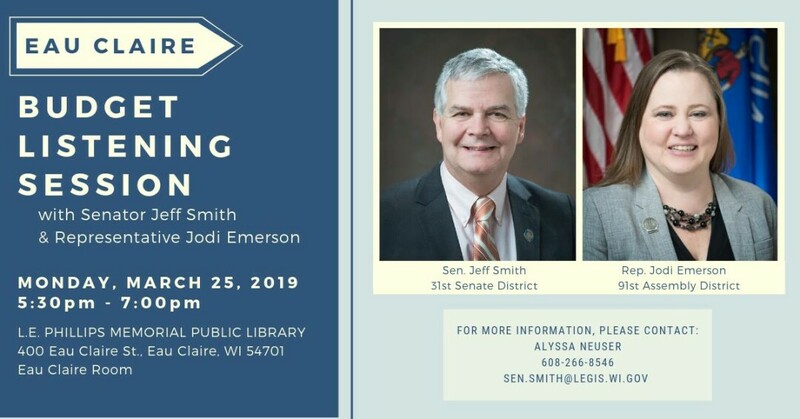 Come learn about Governor Tony Evers’ budget, ask questions, and share your thoughts.